On January 24th, 2014 Sid’s orchestral composition ‘Feuer’ had its first performance in Pietarsaari, Central Ostrobothnia, Finland. 160 performers were on stage, 75 in the orchestra and 85 in the choirs, to create a ‘wildly crazy tribute to love’ as a critic described it (KP, Jan 26th, 2014). Conductor Juhani Lamminmäki inspired the musicians of four generations (from children’s choir over full time students and alumni to grown-up choir) to give their best for this swinging contemporary modern composition. ‘Feuer’ tells the story of a foreigner visiting Finland who happens upon a traditional Finnish midsummer bonfire where love strikes him with its magical touch. 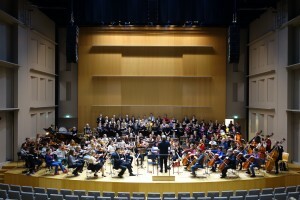 The orchestra and choir get to apply all sorts of adventurous techniques creating unexpected, mysterious ‘sound fields’, as Hille describes them. 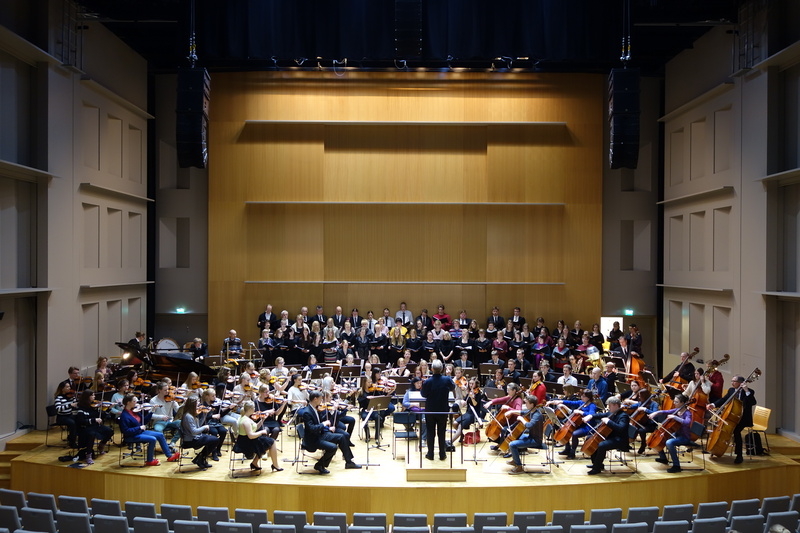 The Central Ostrobothnian conservatory who had organized the two consecutive performances in Pietarsaari and Kokkola will be releasing a 5.1-recording by mid of 2014. We’re looking forward to that one.